By olduvai in Survival on September 12, 2018 . Bottled water is a popular item to store in case of an emergency, and for good reason. It is normally readily available and water should be able to be stored forever, right? So then why is there an expiration date on bottled water? Of course, water doesn’t expire, but you should still check the expiration date on the bottle before you drink it. According to Live Science, there a few different reasons why water bottles come with expiration dates, and the first one, you shouldn’t worry too much about, but the second one should make you think twice. Since water is a consumable product, regulations and laws require bottles to be stamped with an expiration date even though water doesn’t ever “expire.” Rational people understand this, but the government feels the need to step in and protect us from ourselves anyway. The only reason they were put there in the first place was that a 1987 New Jersey state law required all food products to display an expiration date, including water, according to Mental Floss. 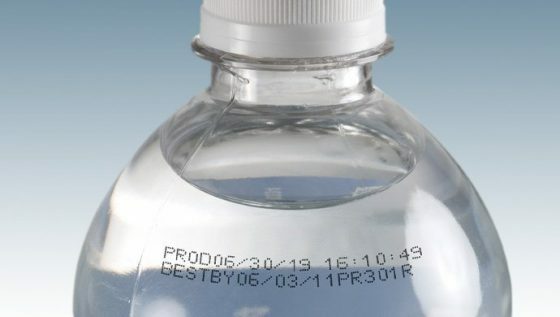 Since it wasn’t very cost effective for companies to label and ship batches of expiration-dated water to one state alone, most bottled water producers simply started giving every bottle a two-year sell-by date—no matter where it was going. Because the law is rather arbitrary, don’t worry too much about drinking expired water just because a law demands a company stamp the bottle. However, the expiration date serves more of a warning about the bottle itself than the water contained inside.